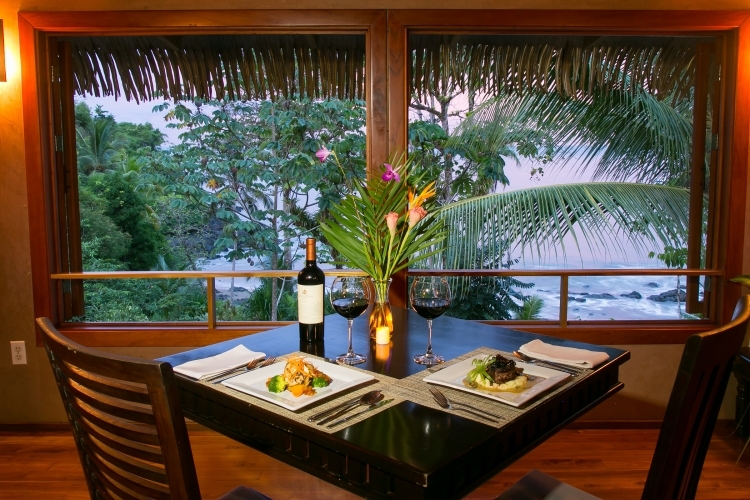 Copa De Arbol is one of the best Drake Bay, Costa Rica hotels you will find! We provide a collection of Drake Bay accommodations located near the beach and rainforest that are sure to meet all of your expectations. Copa De Arbol Beach and Rainforest Resort is a remote, eco-conscious beachfront resort set among 70 acres of pristine rainforest reserve in an area known as “Caletas” (small coves). This area of the Osa Peninsula is accessible only by boat and is one of the most remote and untouched places in the country’s entire Pacific coastline. 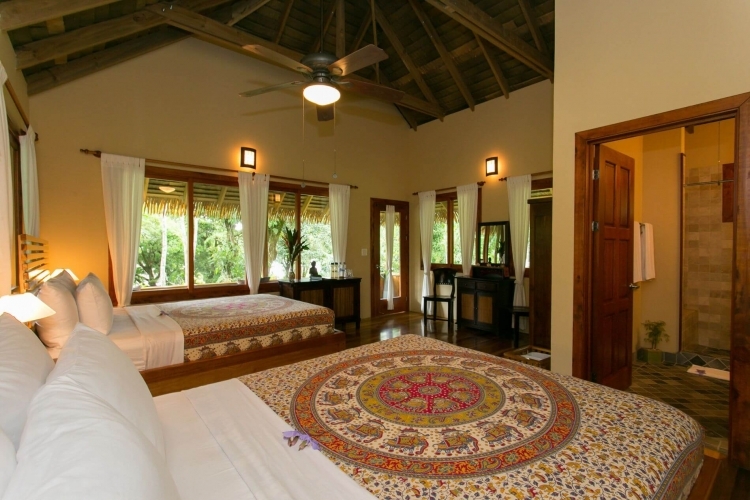 Copa de Arbol is specifically designed and located to cater to the traveler seeking an off-the-beaten-path experience and a total escape from the outside world. 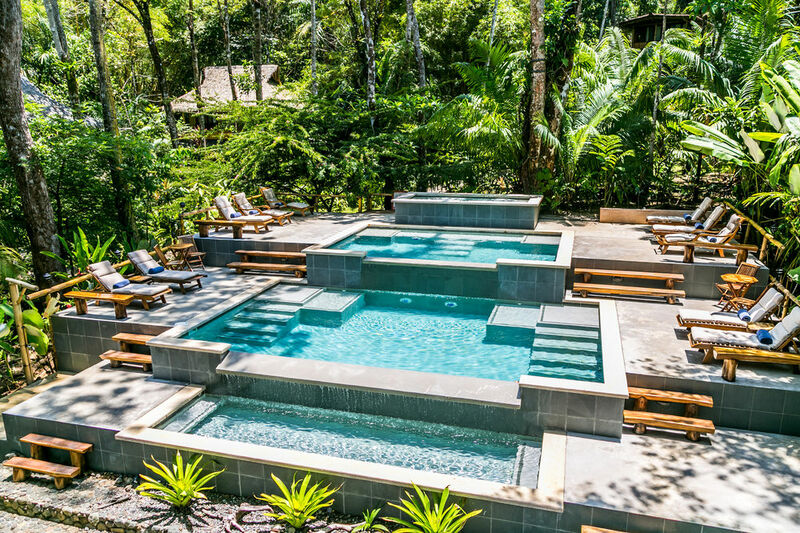 Once you arrive, you will be immersed in your own private, tropical wilderness – no roads, nightlife, shopping, or markets. Just you, the ocean, the wildlife and the rainforest. Nestled amongst the trees, each cabina blends seamlessly into the natural backdrop. Using eco-friendly recycled materials, and reforested wood such as teak, cypress and melina, all of the accommodations feature ocean and rainforest views, balconies with seating areas, pillow-top orthopedic mattresses, air conditioning, ceiling fans, and tiled bathrooms with walk-in showers. You’ll be within 100 yards of the beach, with the rhythmic sounds of the ocean and rainforest to lull you to sleep.